Join us in 2018 for upcoming Six Sigma training opportunities. Six Sigma Green Belt Certification and Six Sigma Black Belt Certification will be held this spring. This week long training course will introduce participants to Six Sigma methodology of DMAIC (Define, Measure, Analyze, Improve, Control). Attendees will experience 4 days of in class lecture and discussion and an exam will be given on the last day of the course to become Six Sigma Green Belt certified. Attendees will also get an introduction to SigmaXL statistical software, used in the six sigma implementation process. Registration is now open, click here for more information. This 3 week course will take attendees deeper in to their understanding of what six sigma is and how to implement it in their organizations. Attendees will be responsible for their own six sigma projects during the duration of the course, under the supervision of our instructor who is Six Sigma Master Black Belt certified. 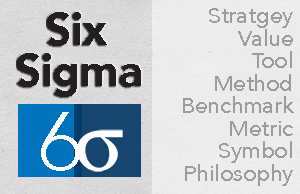 At the end of the course attendees will be given an exam to become six sigma certified. Completion of their six sigma projects is also required to receive the Six Sigma Black Belt certification. Registration will open the week of February 19. For more information, visit our Six Sigma Black Belt page.